Yanmar GM engines are common and reliable, but one weakness on the raw- water-cooled version is the exhaust elbow, where seawater is forced into the elbow at the engine manifold, writes Ian Pirrie. Problems occur when hot exhaust gases are mixed with seawater: this is a very corrosive mixture. 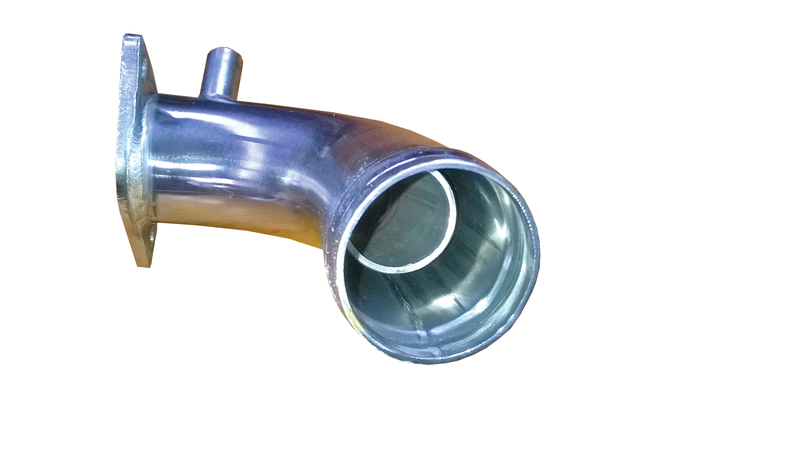 The elbow has a concentric tube welded inside the outer tube, which forms a water-cooled jacket around the exhaust passage: this weld is very prone to failure. 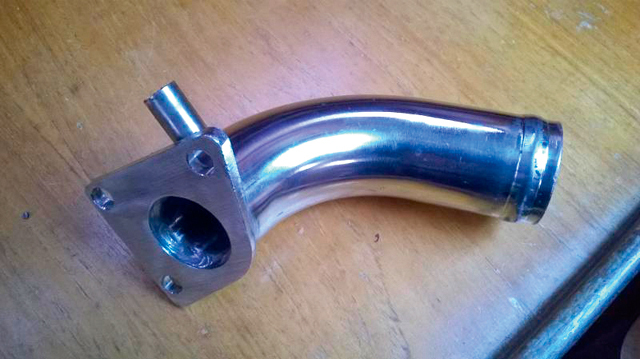 Regular examination and replacement of the elbow is necessary to prevent major engine damage. 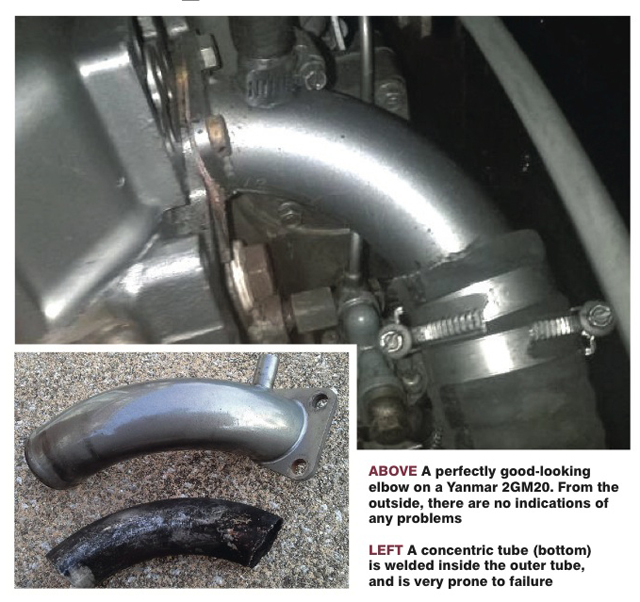 Failure of the weld at the join of the inner and outer tubes can cause water to enter the engine through an open exhaust port and lead to hydro locking of the engine, which in turn can mean costly repair or replacement of the cylinder head and associated parts. Close off the raw water inlet seacock. Undo the hose clip and remove the raw water feed at the exhaust elbow (thinner rubber tube on top). Undo the two hose clips holding on the rubber exhaust hose and pull it from the elbow. 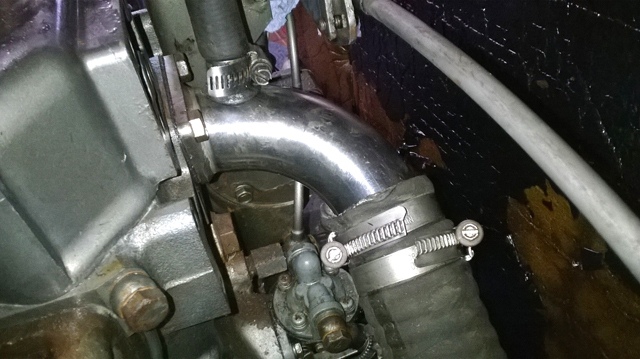 Undo the three bolts holding the elbow to the engine manifold. a 1in chisel to clean the manifold face. Under good light, clean all carbon deposits from the welded area. Some holes may be obvious, which will mean replacement of the elbow is required. 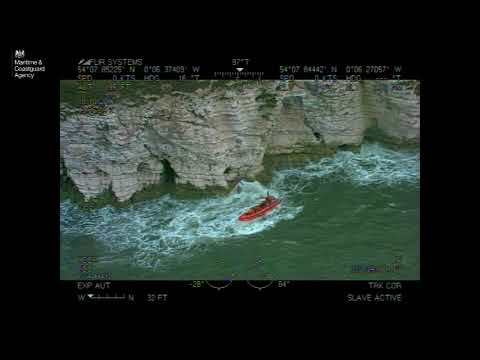 If it looks ok, hold the elbow with the engine side pointing down and fill the space between the inner and outer tube with water. If everything is as it should be, no water will be running out. Having a general poke around the welded area with a small screwdriver will reveal any loose rusty sections and, depending on condition, replacement may be necessary. 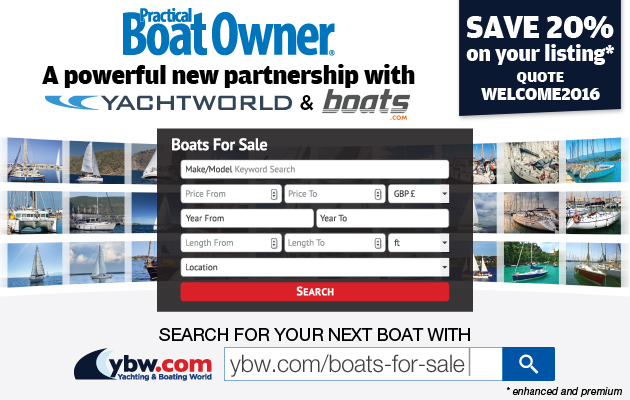 Download the article as it appeared in the Practical Boat Owner magazine June 2015 issue. Email your projects and tips to pbo@timeinc.com or write to us at PBO, Time Inc. (UK) Ltd, Westover House, West Quay Road, Poole, Dorset BH15 1JG. We pay at least £30 for each one published.